Why Does Canada Have a More Stable Banking System than the United States? Why Does Canada Have a Better More Stable Banking System than the United States? That is the research question informing my forthcoming presentation to the Business History Conference at the University of Georgia in Athens. My presentation will take place Saturday 27 March, 3:30-5:00 Concurrent Sessions G, G.1 Rhetoric of Liberalism. Canada’s banking system is rock solid. In the wake of the 2008 financial crisis, the relative stability of Canada’s banking sector has been recognized. When banks in the United States and the United Kingdom collapsed, Canada did not experience any bank failures. The World Economic Forum’s Global Competitiveness Report rated Canada’s banking system as the most sound in the world. 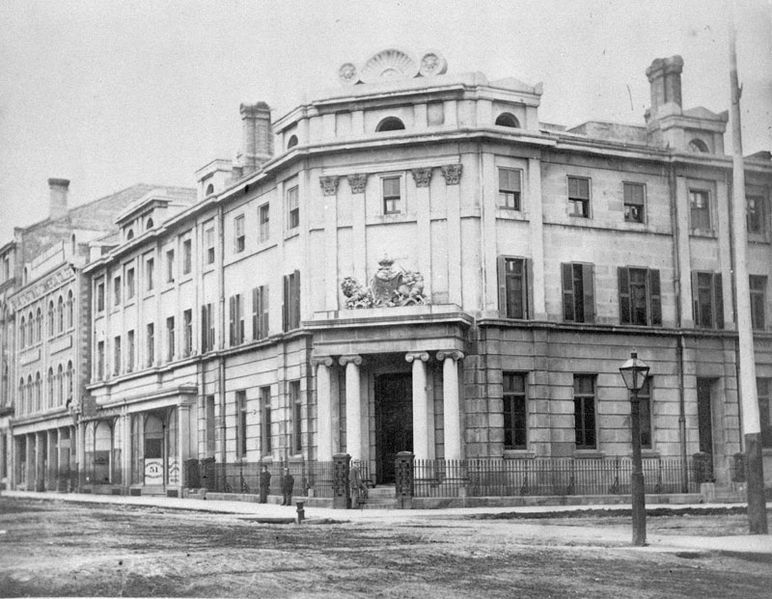 The Bank of British North America, designed by John Howard and constructed in 1845-6, in 1867, on the northeast corner of Yonge and Wellington Streets. Toronto. Image from Toronto Public Library. 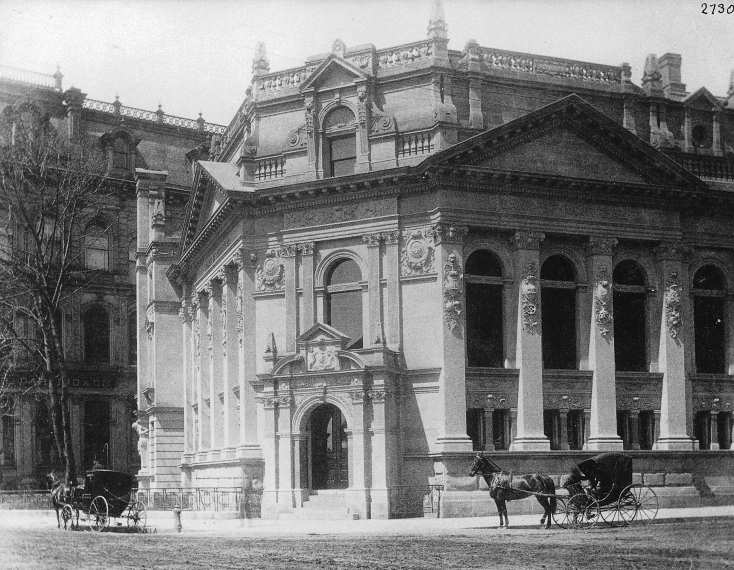 The stability of Canada’s banking sector is nothing new. Historically, bank failures have been quite rare in Canada. 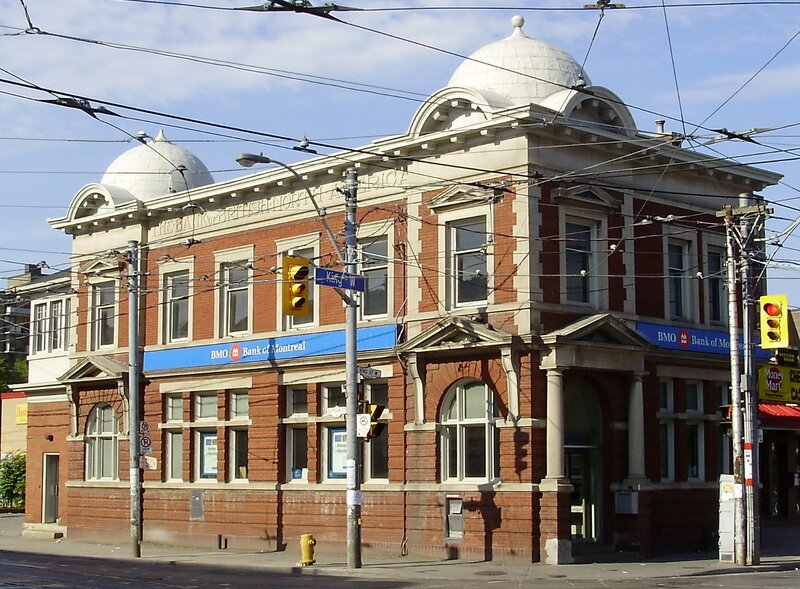 Since 1871, Canada has witnessed a few bank failures, such as the collapse of the Home Bank in 1923, but in general bank failures in Canada have been uncommon. During the early 1930s, there was a wave of bank failures in the United States and long queues of anxious depositors lined up at banks. Canada’s banks, in contrast, remained healthy during the Depression. Canada’s banks also demonstrated their stability during the crashes of 1893 and 1907. Canada and the United States are similar in many ways, but their banking systems are quite different. Some of these differences help to explain the greater stability of the Canadian system. Canada’s banking sector is much more oligopolistic than that of the USA. Canadians are served by a small number of big banks with branches in every corner of the country. In contrast, the United States has a vast number of small banks. Until recently, there were many laws in the United States that prevented banks from one state from operating in another. It should be stressed that Canada had developed an elaborate system of transcontinental branch banking by about 1900. In 1867, the British parliament passed by the British North America Act, which created the Dominion of Canada. The new constitution gave exclusive jurisdiction over banking, currency, and interest to the federal parliament rather than the provincial legislatures. In contrast, American states had the right to charter banks and to pass laws related to banking. The legal foundations of Canada’s arguably superior banking system were laid in the banking and currency statutes passed by the new Canadian parliament in the five years after Confederation. My paper examines the making of the Canadian banking law in 1871, which was a turning point in Canadian financial history. The integration of the financial systems of the previously separate colonies between 1867 and 1871 was a crucial part of the creation of Canada as a nation state. A common currency and common banking system helped to knit the different parts of the Dominion together. In the paper, I look at how the banking laws of other countries, most notably the 1863 National Bank Act in the USA and the 1844 Bank Act in England, influenced Canada’s lawmakers. The personalities mentioned in my paper included Sir John A. Macdonald, Sir Francis Hincks, John Rose, Alexander T. Galt, Edwin King of the Bank of Montreal, Joseph Cauchon, Alexander Mackenzie, and Salmon P. Chase. The paper is based on published primary sources (newspapers such as the Toronto Globe and the Monetary Times) and archival primary sources (the correspondence of Macdonald and Galt). Banknote Issued by the Colonial Bank, 1859. In the paper, I argue that while the currency and banking laws passed in 1870 and 1871 were, on balance, good laws, they were written by politicians who were anything but disinterested statesmen. Indeed, the close connections between particular banks and the Prime Minister and the successive minister of Finance would today be regarded as an egregious conflict of interest. I suggest that Macdonald’s massive personal debts influenced the bank laws of 1870 and 1871. 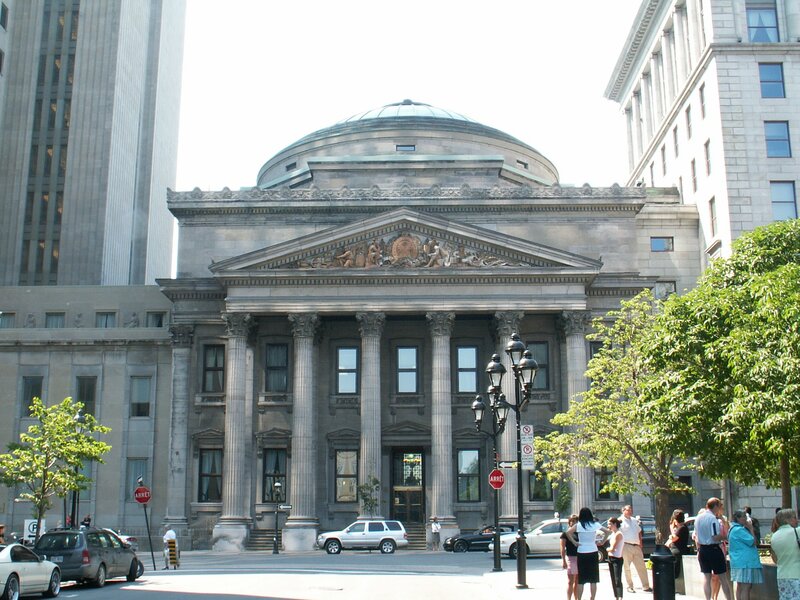 In the paper, I examine the rivalry between the Toronto and the Montreal banks. I also talk about the impact on banking law of the ongoing agitation against Confederation in Nova Scotia, a province which had been pretty much forced into Canada. Although my paper is primary focused on high politics (i.e., the manouevering of Cabinet ministers, bank presidents, and other elite individuals) of I also look at the attitudes of ordinary Canadians to banking. I show that while hostility towards financiers and moneylenders was widespread, the attitudes of the populace had a limited impact on what actually went into the statute book. This is because the political culture and institutions of Canada were, in the 1860s and 1870s, significantly less democratic than the United States. 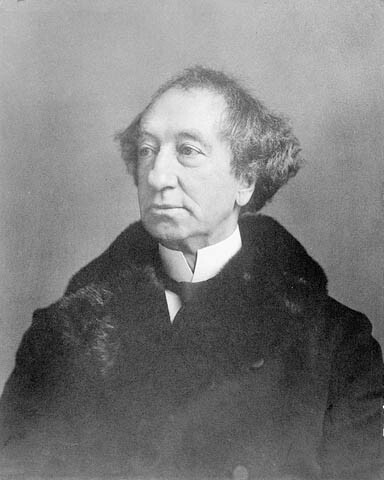 Although a higher proportion of adult males in Canada enjoyed the right to vote than in Disraeli’s Britain, politicians in Canada still regarded “democracy” as an American, and therefore suspect, concept. In the northern United States, nearly every white man had the right to vote, but the franchise in Canada was restricted by a variety of property qualifications. Canada’s elites believed in a system that blended monarchy and aristocracy with democracy. Even today, there is considerable resistance in Canada to the idea of direct democracy. Most politicians in Canada and the United Kingdom still look with horror upon the idea of elected judges and the frequent use of referenda in California and other American states! This elitist attitude influenced both the procedure by which Canada’s new constitution was adopted in the 1860s, which involved votes in the legislatures of the several provinces rather than approval by the people in referenda. The elitist attitude also influenced banking law. Had Canada’s political system been more democratic, it is unlikely that Canadian legislators would have been so wedded to the gold standard and oligopolistic banking. In 1870, much of the Canadian populace evidenced a strong distrust of banking and financiers. For better or worse, the attitudes of the majority had a minor impact on the making of Canada’s banking law. British North America Act. Image Source: UK National Archives. Although Canada cannot be totally immune to some economic crisis I trust that this nation is in no immediate jeopardy of an economic meltdown or crisis like there is in Greece and I guess even in the U.S. In fact are we Canadians truly prepared for a worse or worst case scenario? Let’s hope that Canada doesn’t get plagued by a major economic crisis.